As the last six weeks of 2017 unfolded, many Americans were preoccupied with the raging fires in California, the approaching holidays, and federal tax reform. Meanwhile, FCC Chairman Ajit Pai had his own agenda. He wanted to simply, as he put it “ Take the internet back to 2014”. Why 2014? 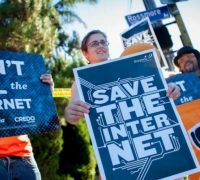 That was before the February 2015 meeting of the FCC, led by then chairman Tom Wheeler, to enact provisions that were intended to preserve net neutrality in the United States. At that time, Wheeler saw the changes occurring within the ISP, internet, and entertainment industries that would give these organizations far too much power to control the internet and how content could and would be accessed. He, in fact, was quoted as saying “(These) providers have both the economic incentive and the technological capability to abuse their gatekeeper position.” He saw the need for net neutrality rules that would prevent ISPs from either throttling back or even blocking content and from using their power to decide what services are prioritized to whom. Since 2015, net neutrality rules have prevented ISPs from exercising this potential power to control speed, access, and content. 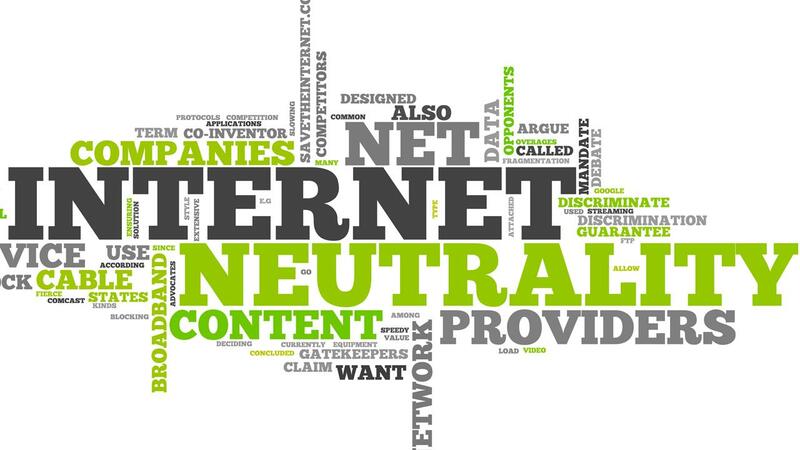 It could be argued net neutrality rules have forced them to be more creative and consumer friendly in competitively positioning their products and services. Now as 2018 makes its debut, net neutrality regulations have been rolled back to 2014. The “new” rules require that ISPs disclose any blocking, throttling or prioritization that takes place from either them or their partners. Many are concerned, however, the control of the internet is in the hands of mega-content providers, entertainment giants, and ISPs with little to no restrictions. So what’s next? What is the effect on the American digital consumer likely to be and is any hope for net neutrality gone forever? So What Will 2018 Bring for Consumers? It is possible that immediate changes will be imperceptible. It is likely we will still see faster speeds, more inclusive packaging, and even attractive pricing as companies position themselves for the future by building access to content and their customer bases. There are still economic and public relation incentives in place to keep ISPs from immediately taking advantage of the rollback. What many fear, however, is not the short-term but long-term impact on the internet. Some fear the internet will become more cable-like as time passes, with ever-increasing rates, limited consumer choices, and speeds controlled by providers. With large providers yielding so much power, consumer options to alternative entertainment choices may be limited by ISPs who are controlled by content providers. Smaller startups will find it more challenging to compete and creativity and choice may be stifled by “muscle”. Again, most of these concerns perhaps won’t manifest themselves immediately but there are those who feel if net neutrality isn’t restored soon, it may irretrievably disappear. Proponents of net neutrality have far from given up. New York Attorney General Eric Schneiderman apparently is seeking the help of other states. 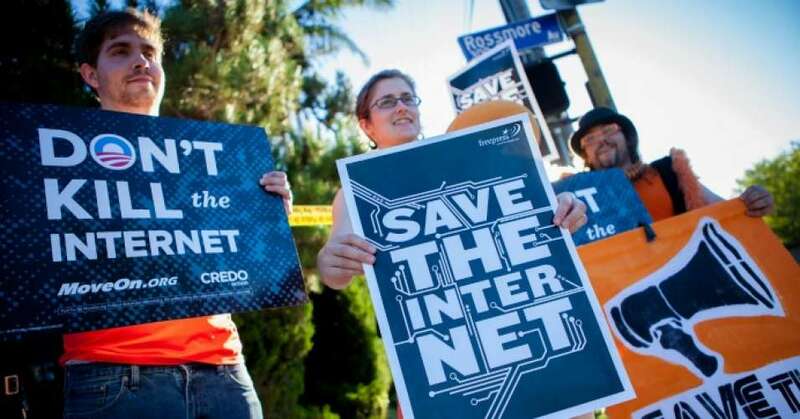 He hopes to challenge the overturning of the 2015 rules restoring net neutrality. At the same time, there is a movement within Congress to put the 2015 rules back in place. One thing that has apparently changed forever is the Federal Communications Commissions’ role in controlling the internet and the actions of ISPs. The FCC is apparently taking a more hands-off approach and letting “the market” control the future of the internet in the United States. While some embrace the philosophy, many others are wary of it. One should keep in mind, however, the net neutrality rules were set in 2015 in anticipation of preventing potential problems of throttling and controlling access. Even in 2014, these weren’t an issue. The landscape in the industry today is far different, however. Mergers and acquisitions have created ever larger and more powerful alliances. The potential of abuse in the quests for profits is a real concern. As we addressed in a blog from August of 2017, when the discussions on net neutrality began to ramp up, one of greatest concerns of hosting in a country without net neutrality is being assured of anonymity. We’ve already seen steps taken in the U.S. where ISPs not only have access to consumer information and searches but have the ability to use that data to increase profits. One of the reasons OrangeWebsite.com made Iceland our home, is the country’s aggressive posture on net neutrality, anonymity, and freedom of speech on the internet. Iceland maintains a politically moderate environment that is less prone to the political extremes of other countries. While there are many internet restrictive countries in the world, Iceland is constantly at or near the top of internet-friendly countries around the globe. For these reasons and our unwavering commitment to providing facilities that are planet and energy friendly, you can count on OranageWebsite.com as your hosting solutions provider now and into the future. As this seemingly new era without net neutrality in the United States moves forward, we will keep an eye on its impact on consumers and how it is viewed worldwide. We will watch as these powerful ISPs move forward and how they handle this new responsibility. We will also keep you informed of where the issue stands politically and the success, or lack thereof, of returning the net neutrality through legislative actions. Is there reason to panic? Perhaps not. There does seem to be more reason to be diligent in making sure the internet remains a free and open environment for ideas, information, creativity, and commerce. When most think about green initiatives, we think about how they relate to the automotive, industrial, and commercial transportation industry. Few of us may consider the impact the constantly growing technology sector is having on our environment. The reality is that web hosting is expected to produce as much pollution as the airline industry by the year 2020. The U.S. Department of Energy has compiled some eye-opening facts about energy use in the country. Here are just several of them. More than 85% of Americans have computers in their households with 70% of those connected to the internet. This not only represents a significant amount of traffic but an extremely large consumer base conducting a variety of e-commerce activities on the internet. All of this activity consumes bandwidth and the need for increasing server space, including those of increasingly extensive video files. There is a data center in the United States for every 100 people. That is an astounding 3 million data centers in the U.S. alone. These centers do not only require energy to power the servers themselves but the entire facility where they are located. It is estimated that for every 1 kW of power saved in powering IT equipment, another 2 kW of power is saved in the data center itself. The U.S. Government itself uses a great deal of energy for its own data centers. The government projects that a full 10% of the entire energy used by the United States Government goes to powering data centers. The vast majority of data centers are located in bricks and mortar, small to medium sized businesses. These businesses house these servers in anywhere from closet space to larger “cool rooms”. In most cases, these facilities are energy inefficient. The Department of Energy estimates that less than 10% of all server space is “in the cloud” in large, more efficient data centers. If data centers used in the U.S. were just 20% more efficient, the country could save more than 20 billion kWh by 2020, translating to about $2 billion in cost savings. That is a significant number that could translate to a serious impact on the environment if we don’t take appropriate steps. These statistics demonstrate the amount and scope of energy use of servers and data centers today. It seems technology and web hosting have just continued to grow without much regard to their impact on the environment. That is changing as server companies who offer web hosting solutions realize the benefits to its customers and the planet. At the very same time, more individual business who have their websites hosted are in search of server solutions that can help improve their “green” image. Together, these forces are raising awareness of the significant impact eco web hosting can make. Why Host with an Eco Web Hosting Company? Eco web hosting companies make a conscious and concerted effort to make sure their hosting solutions have a minimum negative impact on the environment. At OrangeWebsite.com, our servers are located in Iceland, a country committed to the use of renewable energy sources. In Iceland, for example, 100% of energy is provided by renewable sources with 75% coming from hydroelectric and 25% coming from geothermal sources. The significant amount of geothermal energy available is due to the fact the country takes advantage of its extensive network of volcanic roots. In addition to its use of renewable energy resources, Iceland’s cooler climate greatly reduces the need for air conditioning, one of the greatest ongoing expenses for web hosting solution companies. This not only significantly reduces energy use and minimizes negative ecological impact but it reduces costs as well. This is savings OrangeWebsite.com is able to pass down to our customers. This is already a powerful combination of ecological and economical benefits. There is still more to come, however, when you host or co-located with OrangeWebsite.com. Beyond the fact that eco web hosting conserves energy, is ecologically friendly, and can be cost-effective, there is another significant reason to “go green.” When you host with eco web hosting provider OrangeWebsite.com, you can proudly display the “Green Seal” on your website, letting the world know that you are taking an environmentally friendly approach to your business. This seal draws like-minded people to your organization and can improve market share and loyalty. Many business to business and business to consumer websites are seeing the value of displaying the Green Seal. There are plenty of benefits to going green when it comes to technology especially in the use of eco web hosting. It is also the right thing to do. If your company has yet to consider these benefits, we encourage you to learn more about OrangeWebsite.com. Our company was founded on the premise of providing eco-friendly solutions to web hosting. 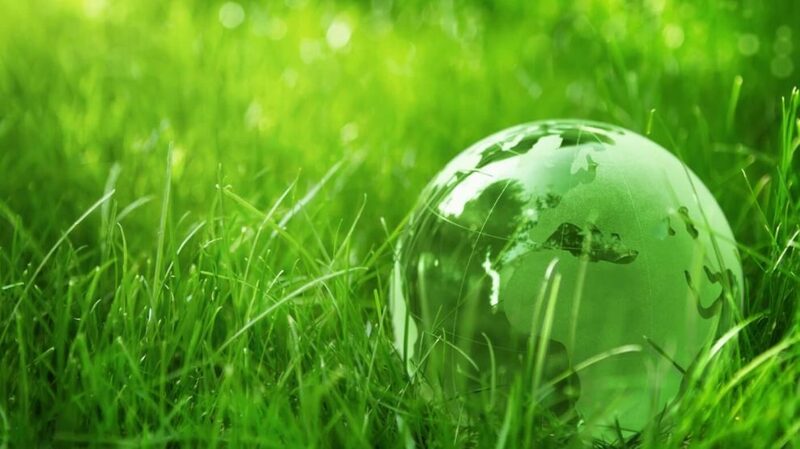 All of our operations, including web hosting servers, operate on green energy. Our location in Iceland provides nearly unlimited natural energy resources. Hence, we have chosen geothermal and hydropower to run our services. Our Icelandic location also provides for lower air conditioning costs and more efficient overall operations. It also happens to be that Iceland has been named the world’s safest location for web hosting. At OrangeWebsite.com we even go a step further in providing eco web hosting. We proactively support various environmental organizations like the Worlds Biggest Beach Clean Up and foundations to help them in their work preserving our planet. We take part in the Canope Project, replenishing trees in rainforests that serve as the planet’s lungs. To keep our planet green and to help reverse damage already done, we are planting 250-1000 new trees every month. We invite you to support us in our efforts. Understanding the full impact of technology and data centers on our planet is an excellent way to move forward with eco-friendly hosting solutions. 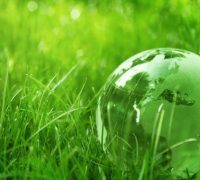 We encourage you to visit OrangeWebsite.com to learn more and to join us in green technology eco-friendly hosting solutions.